Best CBD Vape Pen 2019: What CBD vape kit should you buy? Is CBD vaping a natural and effective alternative for pain relief, anxiety and ill-health? CBD vape oil, also called CBD e liquid has hit the UK market by storm. More and more people are looking to natural and effective alternatives to help with pain, anxiety and other medical conditions. Only a year or so ago there were very few CBD vape oil outlets but now it looks like everyone wants to sell you CBD oil. We have reviewed the best CBD vape oils in our CBD review section and what to look for when buying CBD oil; make sure it is safe, pharmaceutical grade, manufactured in laboratories and that it is pure, free from artificial flavours nicotine and other contaminants. Now what is the best CBD vape pen kit? Whilst phytocannabinoid (CBD) found in hemp is non-psychotoxic and has an excellent safety record itself, you also need to consider the safety of the device you are using to vape your CBD. We help you find out what vape pen you should buy with our guide to the safest and best UK CBD vape pens of 2019. What’s the best UK CBD vape pen you can buy? Now you have your CBD vaping oil you need to ensure you get the best quality UK CBD vape pen in order to administer the active ingredients as safely as possible. Safety should be a priority! Make sure you start with lower strength CBD e liquid and then increase strength if required. The device you are using is stable at these temperatures. You do not want any part of the vape pen’s individual components releasing contaminants at these temperatures. There are many metallic components present in vape devices that could potentially enter the vapour exposing you the user to these metals. Currently the CBD vape oil industry is not fully regulated so there should be NO assumption that CBD vape devices are guaranteed to be safe. There are many so called CBD vape pens that do not appear to have undergone any type of safety testing. 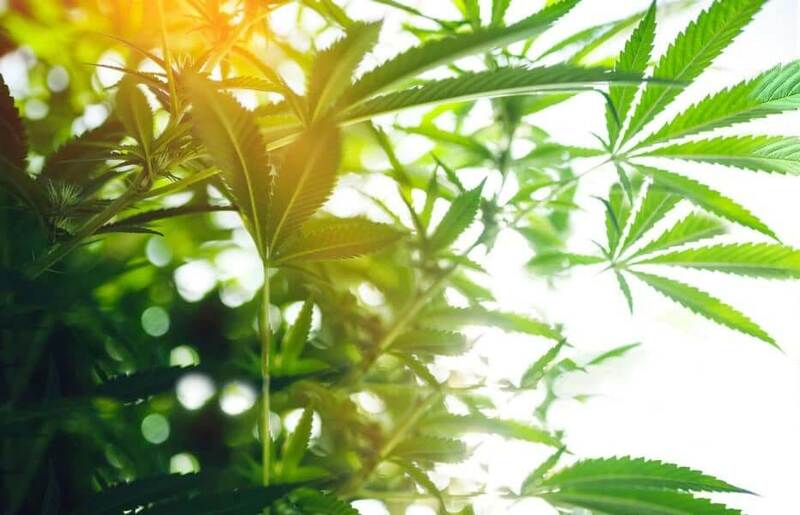 It is not clear from some companies that market CBD like Harmony CBD, PureCBD Vapors, CBDLife or Medipen if their products have undergone any basic emissions testing and there is no information on their sites that suggests that they have. In fact the issue of the safety of the devices they sell to vape CBD is totally ignored. When you vape CBD using a non-tested or non-regulated vape pen what else are you inhaling? However, over the past few years reasonably rigorous regulation has been applied to the electronic cigarette industry via the Tobacco Products Directive and this contains the answer to safer CBD vaping. TPD regulation requires that all nicotine ( not CBD!) vape products intended for sale in the UK must undergo emissions testing. In accordance with MHRA guidelines these tests must be done at the device’s highest power settings. Nicotine vape products must meet certain safety requirements and testing is required for hazardous metals such as Sn, Ni, Cr, Al, Fe that may be released within the vapour when high temperature is applied. This vapour then ends up in the vaper’s lungs. Most, if not all UK emissions testing also ensures safe levels of additional metals such as Si, Hg, Pb, Ar, Cu amongst others. TPD regulation requires that for proper emissions testing, data is obtained from the device when it is full of liquid through to where the device is empty so that impurities can be seen at all levels. A final report details all testing and includes the method of analysis, a summary of the emissions, results from start, middle and end of device refill, and an inhalation profile. This report must demonstrate compliance with TPD regulations in order for the vape device to be sold in the UK. Therefore if you vape CBD oil make sure your device is from a reputable e cigarette brand. This guarantees it has undergone emissions testing in a proper regulated environment and is safe. Only purchase a vaping device for your CBD that is from an electronic cigarette brand, if it is not from an e cigarette manufacturer the vape device will not have been tested as safe or evaluated under any proper regulation. How to choose the best CBD vape pen for you? As discussed above, safety is paramount, so here we review a number of the best quality devices you can buy to vape your CBD. Each device is fully TPD compliant and has undergone the legally required tests to ensure safe vaping in the UK. We cover basic CBD devices that are simple and easy to use that will deliver your CBD vapour effectively. We also look at more advanced products for those who require a higher level of CBD absorption and versatility. Your choice of vape pen will depend on your personal preferences including what else you might vape. 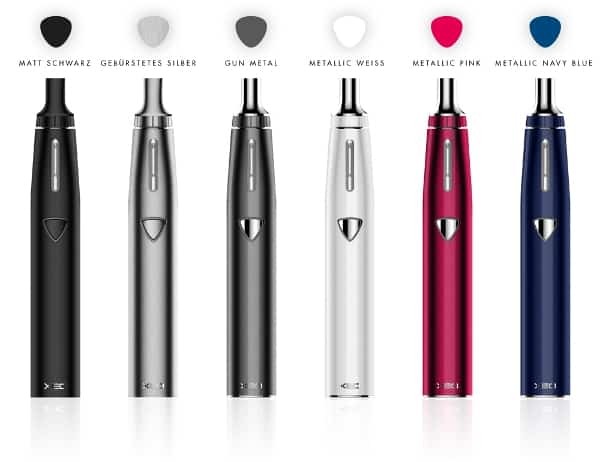 However all the CBD vape pens in this line up are UK TPD compliant so are among the safest vaping devices you can buy. Vsavi, the UK CBD oil specialists, have teamed up with the well respected Vapour2 (V2) vape manufacturer to produce a straight forward and simple but very effective CBD vape solution. Safety. This CBD vape kit is TPD compliant and has undergone full TPD testing. 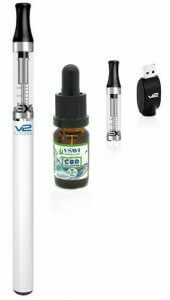 The Vsavi CBD vape kit is simply the best CBD vape pen for convenience and ease of use. It is essentially a mini CBD vape kit which is extremely reliable and properly made. It is similar in size to a standard cigarette and therefore is very easy to use, it does not feel awkward compared to larger devices. Attach the battery to the USB charger, fully charge for 2-3 hours and you are ready to go. You simply fill the “Ex-blank” refill with your CBD vape oil and vape. At around £30 including CBD vape oil, this kit will get you started. Additional batteries, refills and accessories can be bought as required. It has a huge 4.2 Volts packed into a relatively tiny battery with a CBD oil vape tank. This vape device produces excellent volumes of vapour and therefore ensures good CBD absorption and is sufficient for the vast majority of CBD users. This CBD kit scores highly because of its simplicity and its functionality – it does what it is supposed to do without fuss. It is also small, sleek, lightweight, simple and is very practical. Its simple design ensures that no replacement of internal parts or seals are needed so no leaks. The refill/mini-tank holds 1.0 ml CBD vape oil. The Vsavi CBD vape pen comes in various colours including black, blue, pink and white. It also comes in various lengths to suit every vape need whether you are a heavy or light user (longer batteries store more power and therefore last longer between charges). For those with a specific medical vaporizer need. The V2/Vsavi vape pen range is without doubt the best medical marijuana wax concentrate vape pen in the UK for a small scale device. I know of no other effective vaporizer this size that can vaporise wax – a must for those who vaporise wax for medical purpose and want a small vape pen. Make sure you use the dedicated wax cartridge and use as prescribed. This is my top choice CBD vape pen for when you are out and about and want something easy and discreet. Pocket or purse perfect – used with Vsavi pure organic CBD vape oil this CBD kit represents about the safest and simplest (but very effective) CBD vape pen available. It is the most cost effective safe CBD pen out there too. Safety. This vape pen is fully TPD compliant and has undergone full TPD testing. The Pro 3 CBD vape pen kit offers greater performance than the smaller scale CBD vape pen reviewed above. This greater performance however translates to greater capacity. A larger battery and a larger CBD refill container is more beneficial to those who are heavier CBD vapers. Although capable of giving higher CBD absorption for a given CBD vape oil concentration, users should use any device with an understanding of the CBD concentration needed. This is gauged by starting with lowest concentration and then increasing concentration as required. Different vape pens will respond differently so you need to match your pen with your CBD vape oil concentration. With the sub ohm functionality of the Pro 3X CBD vaporizer it will deliver a lot of vapour which means greater CBD absorption so you need to ensure your CBD oil concentration is not to high. Remember start low and increase the concentration only if necessary. The cartridges don’t screw in like all the rest of the vape pens on the market – again they are magnetic, simply drop in for a secure fix! This unit is 650 mAh so gives all day and night vaping. The main attraction of the Pro 3 is that it is a solid, powerful and reliable vaping platform within a relatively small and neat design. Many devices come to market and then experience user issues like leaks or problematic battery life. The Pro 3 has evolved and is now probably the most solid vaping device there is. An ideal CBD kit. Because of its versatility, the ability to vape different mediums like CBD oil or e liquid, you only need one device which not only saves money, it is extremely convenient. For those who need to vape CBD more frequently this is the device to get. Vsavi are a leading name in the CBD vaping industry. They’re well-known for their high quality pure organic Vsavi CBD vape oil and CBD sublingual oils. Vsavi have collaborated with XEO, a German company, to bring you the XEO Void CBD vape pen. With its 1,500 mAh battery, solid portable looks and choices of colours this CBD vape pen deserves a mention here. Not quite the renowned flagship Pro 3X vape pen but the Void has a lower entry price, around £40, and is ideal as a dedicated CBD vape pen. It is also a German-designed vape pen so offers impeccable quality. One of the most interesting feature of the Void CBD pen is that the CBD e liquid tank is not a separate tank like most devices. The tank that holds the CBD vape oil is integrated into the body of the pen so you only need to replace coils, ie. you don’t have to fork out for a new tank at any time. 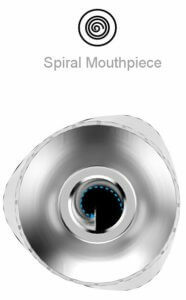 The mouthpiece also has a unique internal spiral design though it is unclear why the Germans have done this! The neat airflow control allows you to customise the inhale resistance as you vape. The solid form factor also gives it protection from leaking, which is perfect if you plan to take the vaporizer out on the go. The battery is 1500 mAh which means it will last all day even with heavy use. For most CBD users it will last a day or two before requiring recharging. The CBD kit also comes with two separate coils. One 0.6 ohm (sub ohm vaping) and a 1 ohm coil. The lower resistance allows for significantly more power to the coil which in turn creates more vapour. Inhaling a lot more vapour translates to greater absorption of CBD. This then allow you to use this specific device at a lower CBD concentration to get the same CBD “hit” as a lower spec device using a higher vape oil concentration. The advantage of this is cost. Lower concentration CBD is cheaper than the more highly concentrated CBD vape oil. So for those who require a much higher dose of CBD oil, using this pen in sub ohm mode with higher concentration CBD oil will give maximum vapour intake, and once in the lungs more CBD will be absorbed into the body. When using higher concentrations it is important that you do not go directly from zero to max immediately. There are a number of publications that suggest you build up your CBD concentration slowly and at each stage test to see if it is working for you. At some level you will find your optimum level. • Fitted with childproof lock! In this section we look at a number of the most frequently asked questions about CBD oil and CBD vaping as a guide to help you decide what CBD vape device is right for you. There is further blog information at the Vsavi CBD Oil website. 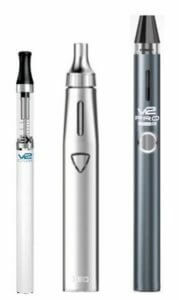 We have reviewed our favourite CBD pens and all three are TPD compliant so represent the safest pens for CBD vaping. All are effective at producing excellent vapour and this helps in CBD absorption. If budget is not the limiting factor and if you are still unclear which CBD device suits you best we might be able to help break down the options further. How often do I need to vape CBD? For most CBD users this will depend on the anxiety pain or problem you are trying to alleviate by vaping CBD. 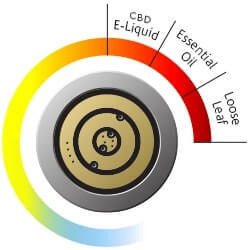 However once you get the right CBD concentration that helps you and if you are vaping CBD anything up to 10-15 times per day all three devices fit the bill and will last you all day with one CBD refill and one battery charge. If you vape more frequently or for longer periods of time then the V2 Pro 3 or Void pens have larger batteries and greater refill capacity so will last a day or two. Don’t forget when you go to bed you should be charging your device for next days use. With the Vsavi CBD small scale vape pen you should ideally have a number of spare batteries so that you always have back up. This also means you can vape pretty frequently without any concern about running out of charge. How important is the size of your CBD vape pen? The Pro 3 and Void vape pens are similar in length but the Pro 3 is definitely a more compact device. The Void is a lot squatter, it is a triangular shape which makes it a lot chunkier whilst the Vsavi small scale pen feels tiny compared to the larger devices and is obviously a lot lighter in the hand. The Void with the larger battery is the heaviest device and does feel a little cumbersome compared to the small scale vape pen. How much CBD do you need to absorb? All three vape pens will allow for effective absorption of sufficient CBD for the vast majority of users. What is probably more important is the concentration of the CBD vape oil itself rather than the spec of the vape pen. At the limit however, because of the sub ohm functionality of the Void, more vapour is produced for a given concentration of CBD oil so this device in theory could give a higher absorption end result. The Pro 3 also has a sub ohm variant, the Pro 3X which will out perform even the Void. Do you need a vape pen other than for CBD? If you vape two or more mediums ie. CBD vape oil, e liquid, dry herb wax or tobacco the Pro 3 is the outright winner here. This one device will allow you to vape all mediums by using the separately designed refill cartridges. Having one device for all you vape needs is very convenient, you simply switch out one magnetic cartridge for another. This saves a lot of money on having to buy 2 or 3 vape kits. The small vape pen also has a wax cartridge so is capable of vaping CBD, e liquid and wax concentrates. Having a number of batteries coupled with different ex-blank cartridges means you can keep your e liquid and CBD vaping separate – do not mix the two. The Void would need to be a dedicated CBD vape pen as the refill system is held within the body of the device so is limited here. The Pro 3, our second best vape pen, has the longest warranty and perhaps the purchase price of these three vape devices reflect the quality and versatility of each of the devices. This is a 6 month warranty while the other two CBD pens have standard 30 day warranties. All of the devices would be replaced under the companies no quibble guarantee should the products be defective. The companies have an excellent help desk and customer service record. CBD Vaporizers should not be considered medical devices nor are they intended to treat or cure any disease or illness.